QR codes are very important. It speeds up several processes and you can perform lots of actions by just scanning QR codes. You can open a URL, save a new contact, connect to a Wifi and more. So, QR codes can be very useful. This is the reason, you must have a good QR code scanner app in your phone. Few smartphone comes with built-in QR code scanning option in the camera app but mostly do not. You cannot simply scan QR code until you have relevant software. If you are also looking for a good QR code scanner app, you are at the right place. 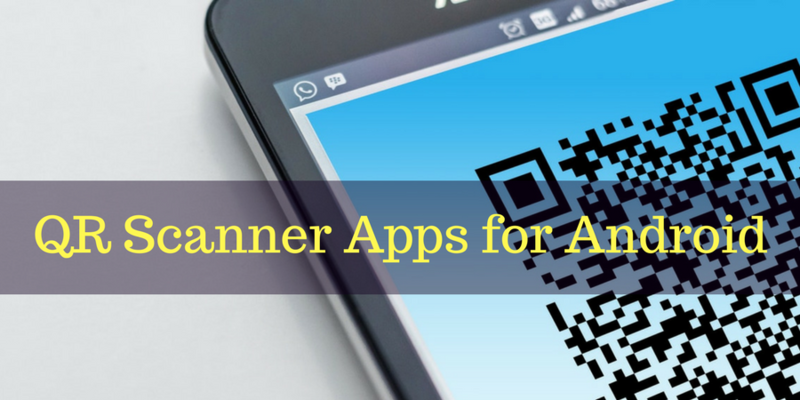 In this article, we are listing few best QR code scanner apps that allow you not just read the QR code but also create your own. You just need to bring QR code in front of the camera and it scans. There us no need to tap on any key. It can read all kinds of QR Codes including text, URL, Location, email, Calendar, contact, Wifi and much more. You can use it to create QR code of email, message, location, event, contact, phone number, text, WiFi access, or URL. QR Droid Code Scanner is another good QRcode scanner app. It can read and write QR codes. It also supports several kinds of QR codes. It can read or write QR codes of QR Business Cards, Contact, Text, Waze Link, Calendar Event, PayPal Payments, Local Image, Phone Number, Geolocation, Email SMS, and apps. You can read QR codes from your camera, browser, SD card and saved images. It can also Auto-sync your data on your own Google Drive account. The app is multi-language that makes it worth to mention. It is ad-free and fast app. You can set up the default open action including a scanner, showing history, creating QR code or more. QR Code Reader is the second app of the list. Even if the name is exactly same as the 1st app of the list had, this app is also equally good to consider. It not just supports QRcode but also Barcode. This app is easy to use and test. It reads QR codes automatically. It also supports flashlight for low-light environments. It can also read several kinds of QR codes. QR Code Reader is another nice Android app to rear all kinds of QR codes and barcodes using your mobile phone’s camera. It can use the camera or scan local photo. It can also export the QR code scanner history. It supports URL, contact data, calendar events, Wifi hotspots, geo locations, phone calls, emails or SMS QR codes. Similarly, it also supports lots of barcodes and two-dimensional codes. Lightning QR Scanner is a straightforward QR code scanner app. It also supports Zoom feature if QRcode is small or not close to the camera. You can also export QR code scanning history. It also has the option to use flash when there is not enough light around. There are many other QR code scanner apps to try. But QR code scanners work very similarly. So, there is no need to try all. You can simply try any of these given QR code scanner apps and you will get desired results. QR codes let you perform several actions quickly. So, you must start using it if you have not been doing it already. If you want to ask anything, you can always leave comments.